An endorser brand architecture is made up of individual and distinct product brands, which are linked together by an endorsing parent brand. The endorsing parent brand plays a supportive and linking role, and, in many respects, an endorser brand architecture can be seen as an inversion of a sub-brand brand architecture. An endorser brand architecture succeeds where it links a family of product brands by a shared high-level promise, which is valued by target customers. Product or service brands (for simplicity, all referred to as “product brands” in this post) linked together by an endorsing brand. The product brands and the endorsing brands will each have their own brand attributes, including a name, logo, brand promise, position and personality. The product brands will have each have their own brand marketing and will need to rely on their own value propositions to succeed. Despite the distinctness of each product brand, the essential ingredient for a successful endorsing brand architecture is that there is a link between (i) the higher-level brand promise of the endorsing parent brand and (ii) the product brand. This link is what provides the assurance to the customer that if they like one product in the family of the endorsing brand, then a sibling brand is also worthy of consideration. Nabisco is a well-known example of an endorser brand architecture. Nabisco as the endorsing parent brand is distinctively featured on all packaging in the family of product brands. Nabisco links together cookie and cracker product lines, including OREO, Ritz, and Arrowroot, and has built its promise of the high quality freshness for the packaged baked goods in the brand family. However, it is the individual product brands which are featured in brand marketing and have distinctive personalities, positions, promises, and packaging. An endorser brand is a valuable brand architecture if the endorsement will increase buyer confidence in product brands. Again considering Nabisco, Nabisco built its brand on packaging innovation which allowed it to deliver on the promise of freshness and has used the Nabisco endorsing parent brand as an assurance of freshness of its cookie and cracker brands to its customers. 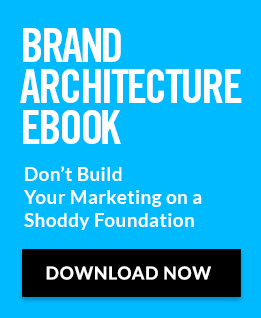 For brands with large portfolios built on a key innovation or set of innovations, an endorser brand architecture can be a good alternative to a masterbrand architecture. An endorser brand architecture allows a key innovation or promise to be highlighted and reinforced in brand marketing for the family of products. Brand marketing which promotes the endorsing parent brand provides a boost to each product brand. An endorser brand architecture allows a high degree of brand marketing freedom for each product brand. Product managers, marketers and internal leadership often favour having the freedom to create distinctive brand strategy, name, logo, design, creative campaigns and messages. The link between product brands can assist in cross-selling. For a small portfolio of brands, the cost of the endorsing brand structure may not be warranted. With every new endorsed brand comes creative, legal, and time-to-market costs. Marketing dollars will be spread over distinct product brands and the endorsing brand, as opposed to focusing all of marketing spending on a masterbrand. Consider whether there is value in the endorsement of the endorser parent brand to your target customer. Is the assurance provided by the endorser brand valued by the customer? Any endorser brand assurance needs to be framed in a way that is meaningful to customers. For Nabisco, the assurance is about freshness and not packaging material innovation. Consider if you have a large enough portfolio for an endorser brand to be worth the complicating of your brand marketing. It will not be worth it if your target customer will likely only be exposed to one or two product brands. All brands in the brand family will suffer if any of the brands go into crisis. This post is the sixth in our series on brand architecture. Our prior five posts cover brand architecture basics (What Is Brand Architecture? and How to Choose Your Brand Architecture) and the primary brand architecture types (sub-brand, masterbrand and freestanding brand architecture). In our seventh and final blog post in this series, we will cover the mixed architecture type where a business has over time, acquisition or hazard entered up with a number of architecture types and may well need to consider curative work to make their structure stronger and more effective.